Why emergency locksmith services can be your saving grace. Never feel alone in Houston when you know an emergency locksmith. It is called emergency locksmith services for a reason. The locksmiths are available 24 / 7 at your service should you face any issues with your locks, doors or lose your keys. Getting locked out of your home or office is not the only issue that can arise. Sometimes, your car keys can also vanish in thin air, leaving you stranded on the street or the parking lot. If you’re in a crowded area, there may be little to worry. However, if you find yourself in a shady and lonely region especially post sundown, you run the risk of being attacked or looted. In such a situation an emergency locksmith can rush to your service, help you solve your problem and have you going on your way within minutes, irrespective of the time of day or night. 2. Emergency locksmiths can come and rescue where ever you are. Another wonderful thing about emergency locksmiths is that they are always here for you when you need one. All across the city an emergency locksmith will drive to your location and assist you with whatever need that you have. 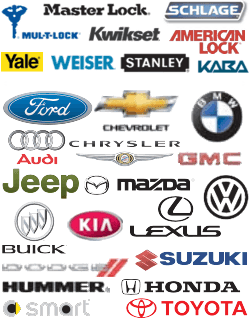 This includes all locksmith services; residential, commercial and automotive. They will drive to your home, business or where ever your automobile is. 3. Make new keys when you lose your keys. All of us have lost our keys sometime in our life. Can you remember that feeling that you felt? The feeling is absolutely dreadful. When you know an emergency locksmith you never have to feel that feeling ever again because you will be rescued fast and your problems will be solved in just a matter of minutes. 4. Install new locks after your home or office has been broken into. 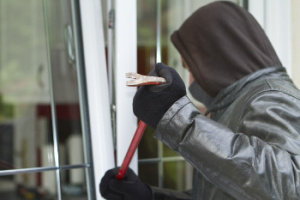 After a burglary it is imperative that you secure your home or business as quickly as possible because many times burglars will come back and re-burglarize the property since it is still vulnerable to entry. Call a locksmith to come and secure your property by installing new locks and performing a security audit on your property. 5. Last but not least always waiting for your call. Like your guardian angel an emergency locksmith is always on standby waiting to rescue you in a time of need. Keep a qualified emergency locksmiths phone number on hand for when you might need one. Why emergency locksmith services can be your saving grace. http://713locksmith.com/emergency-locksmith-services-can-saving-grace/ 4.0/5 based upon 21 reviews.